For my entire my life up until now, I have had hair on my head. Having to take the extra 10 minutes in the morning for hair maintenance was something that just became routine. I have always had fine hair, so keeping it short but styled was the only way to keep me from looking homeless. However, this past weekend and for the first time in my life, I shaved my head. I didn’t go right down the scalp with a blade, or as my friends have been suggesting, “Bic it”, but I did slap a guard on my trimmer and went to town… the whole way. The number one question I get regarding this new look is, “Why’d you do it?”. My answer: I’m not really sure. I guess I wanted a change. I guess I was bored with the hair style I had been maintaining for the last 11 years. I don’t really know. A close friend of mine used to buzz his hair, but has since abandoned that style, which has resulted in this. I’ve heard that shaving your head can reveal some pretty interesting shapes, but apparently I have a decently shaped head (thank goodness) and I have also heard that once you do it, your hair may not grow back the same, which I won’t be able to confirm or deny for some time. What I CAN tell you is that for some odd reason, whether I was just too dumb to notice before or not, women are noticing in an obvious way. 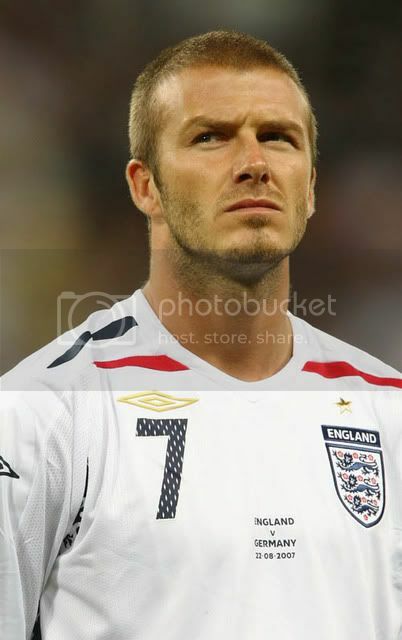 I like to refer to my new haircut as “The David Beckham“. Not just because of the style, but take this recent experience for example; Just driving yesterday to a local alterations store here in Calgary, I caught two different women in completely separate cars full-on rubber-necking me in my truck. Not gonna lie… that alone is a good enough reason to keep this style for the summer, especially since I wasn’t sure if I even liked it or not. I love it Ian. And who knows, maybe it will grow in and look like your friend’s! Short looks good on you, enjoy the extra attention! You may also notice that ladies can’t stop themselves from touching your head. Enjoy!